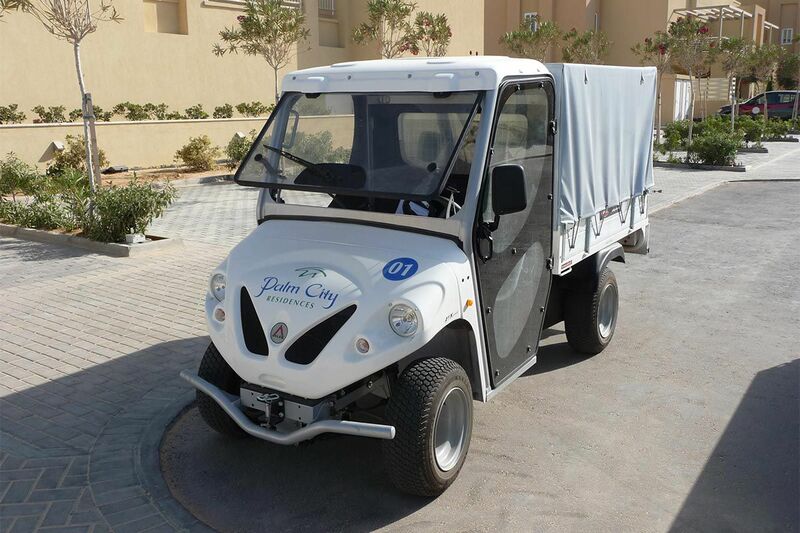 Electric vehicles are an ideal solution for the tourist industry. They play an important role in minimising atmospheric and noise pollution, important advantages that enhance customer satisfaction and comfort. 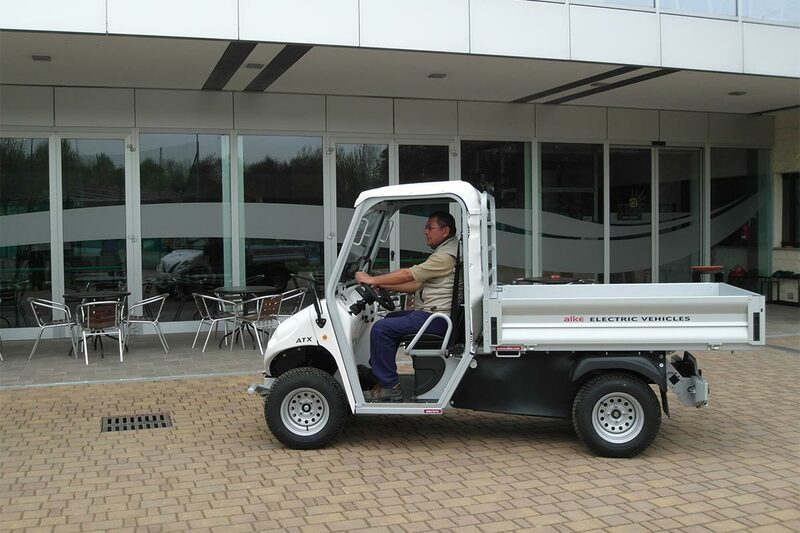 Used to transport materials, personnel and guests. 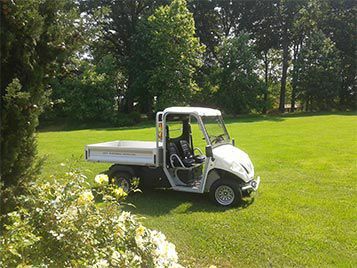 Why choose Alke' vehicles for tourism? Alke' are definitely the ideal choice for tourist structures that want to give their image added value. 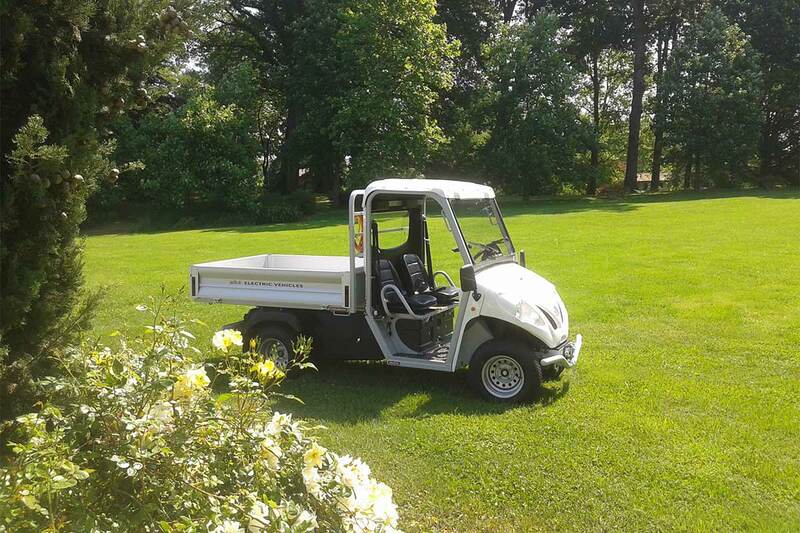 The fact that they operate without polluting the environment and disturbing guests with noise emissions, at any time of the day or night, are all reasons that convince people who work in the tourist industry that Alke' electric vehicles are the right choice to make. 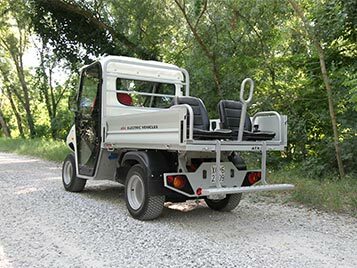 Alke' vehicles for tourism boast a number of different models, each one with characteristics designed to offer the best in specific activities and work environments. 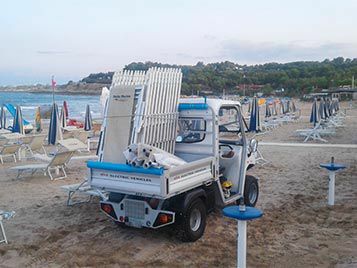 In the tourist industry, the most suitable models are the ATX210E and the ATX230E (also available with a long wheel base and double cab). 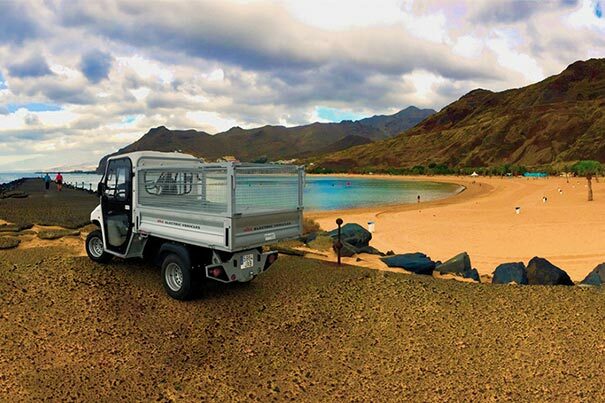 The ATX210E has a maximum load capacity of 610 kg, a maximum towing capacity of 2,000 kg and a maximum autonomy of 75 km. 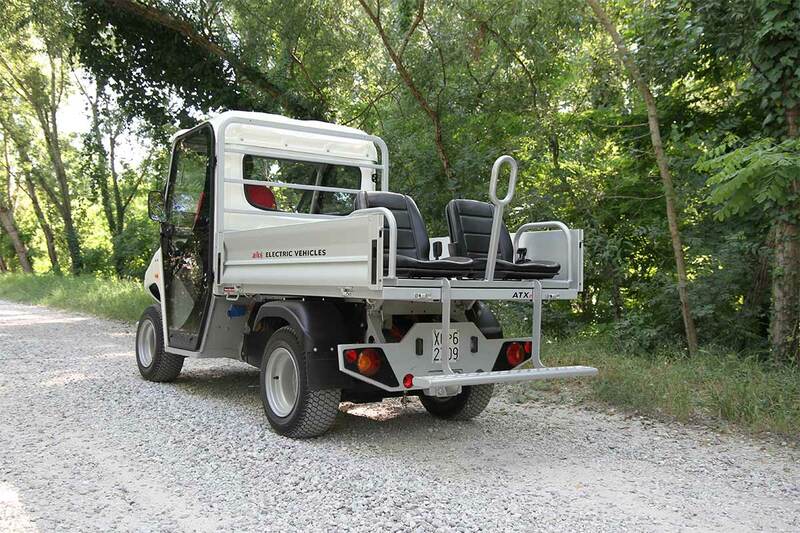 The ATX230E, which is ideal for off-road use or use on difficult ground such as sand, snow or ice and chosen by tourist structures in seaside, mountain and hill resorts for this reason, has a maximum load capacity of 1,575 kg, a maximum towing capacity of 4,500 kg and a maximum autonomy of 75 km. The figures provided are for non-road use, but all models are type-approved for road use if they need to be used outside the tourist structure. 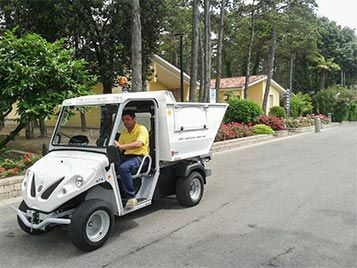 Numerous activities are performed in tourist structures and while there is a need for vehicles to perform specific functions, there is also a need for the same vehicle to perform several different tasks. 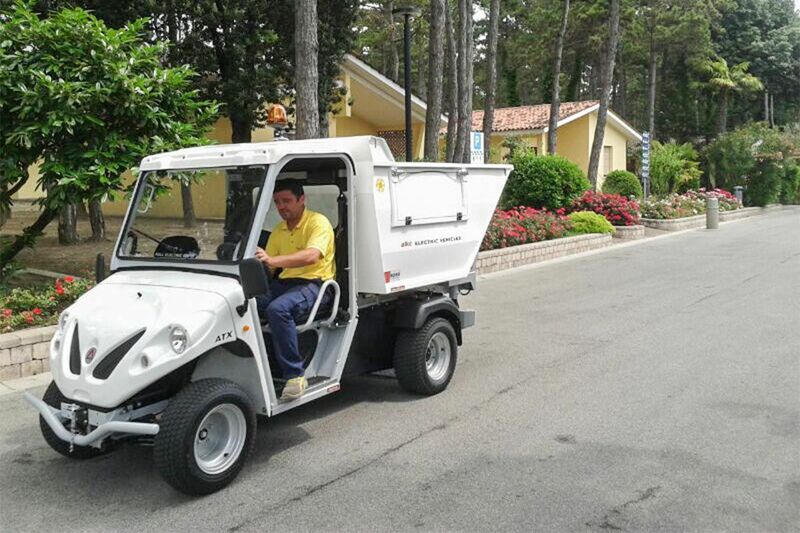 Alke' vehicles for tourism are extremely versatile and you can choose from a variety of options, some of which can be installed and removed in just a few minutes as needed. 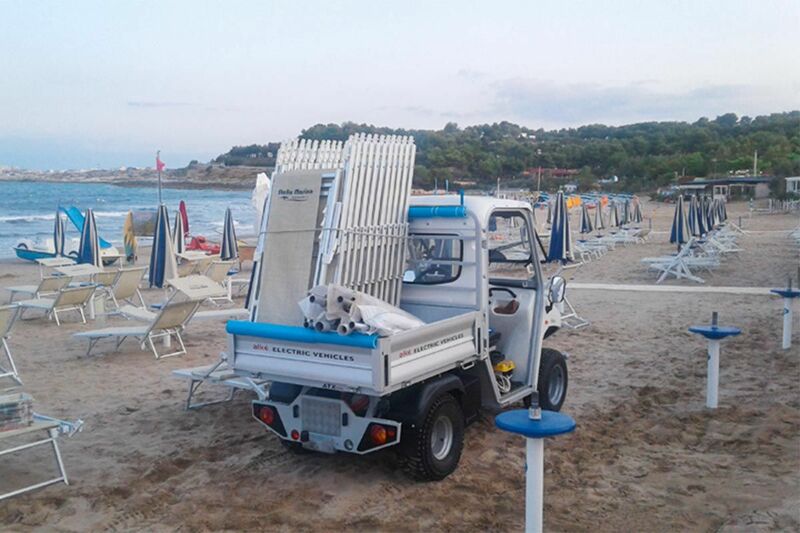 For vehicles used in tourist structures, the most popular options are: loading bed with drop sides or with steel mesh sides, box behind cab, people-carrier module, first aid module and waste collection body. 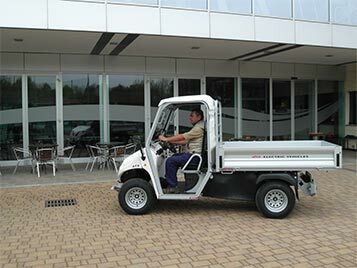 Alke' professional vehicles are used to transport materials but also people, both personnel who work in the structure and guests. 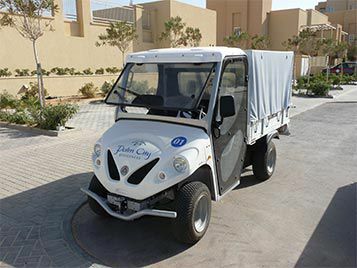 They come in a double cab version (with 4 seats in the cab) which has the option of adding a people-carrier module (2 seats) or people-carrier module with double bench to the loading bed so that the vehicle can be used as an electric shuttle. Send us a short message if you would like to know the prices of the Alke' vehicles for tourism.